People are getting more and more familiar with new mobile technologies and are ready and open to calls for action if they feel trust for a brand. Mobile channels are a top priority opportunity for online marketers. 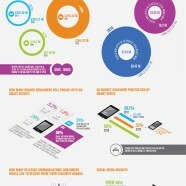 See the state of present and future mobile usage among users together with some behavioral analysis.